In 2015, science journalist John Bohannon fooled countless people into believing chocolate helps with weight loss. But as he later revealed, Bohannon and his collaborators had deliberately set up the study to yield spurious correlations, which they marketed to reporters seeking splashy headlines. Although the hoax was controversial, as it included real volunteers and spread disinformation to prove its point, it revealed several lessons on shoddy research practices. In particular, Bohannon’s team showed how easy it is to draw big claims from weak evidence. To do this, they tried to measure whether several factors — including weight, cholesterol, sleep quality, blood protein levels and more — change as a result of eating a chocolate bar every day. They studied only 15 people. But as Bohannon noted, one of science’s dirty secrets is that measuring many variables in a small number of participants makes it easier to find correlations that exist purely by chance. 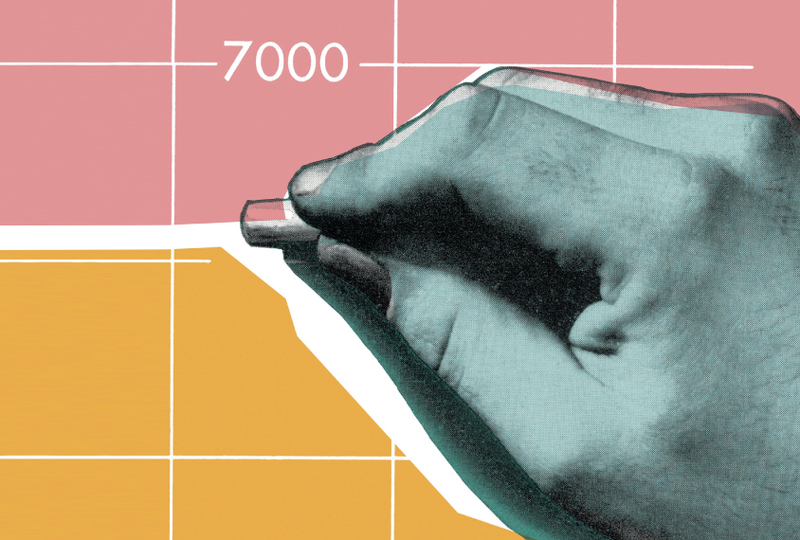 For decades, researchers have used a statistical measure called the p-value — a widely debated statistic that even scientists find difficult to define — that is often a requirement for publication in academic journals. In many fields, experimental results that yield a p-value of less than 0.05 (p<0.05) are typically labelled as ‘statistically significant.’ Lower p-values imply that a result is more likely to be real, instead of a statistical fluke. Since its release, the 2016 statement has been cited nearly 1,700 times and attracted almost 300,000 downloads. Still, the ASA knew there was more work to be done, as their 2016 recommendations told researchers only what they shouldn’t do but didn’t offer advice on what they should do. “We knew that was a shortcoming in the p-value statement,” says ASA executive director Ronald Wasserstein. In 2017, the ASA organized a symposium on statistical methods, which led to inviting experts to submit papers to a special issue of The American Statistician. This was published on 21 March and consists of 43 papers and an editorial, all aimed at explaining to non-statisticians how to use p-values responsibly. Even though the shortcomings of p-values have been known for decades, the last couple of years have seen heated debates about significance thresholds. In 2017, a group of 72 prominent researchers urged researchers to abandon p<0.05 as the gold standard and instead start using p<0.005 (some fields, such as particle physics and genomics, already require much lower p-values to support new findings). Doing so, they argued, would dramatically lower the number of effects reported to exist when they actually don’t — or false positives — in scholarly literature. Although the ASA thinks moving beyond thresholds will cause upheaval at first, it will be beneficial in the long term. “Accepting uncertainty … will prompt us to seek better measures, more sensitive designs, and larger samples,” Wasserstein and his colleagues write in the new editorial. “Statisticians have been calling for better statistical practices and education for many decades, and these calls have not resulted in substantial change,” Trafimow says. “I see no reason to believe that the special issue or editorial would have an effect now where similar calls in the past have failed.” Trafimow does, however, acknowledge that some areas of research are changing, and says perhaps the special issue can help accelerate that change. One reason why academics may be forced into cutting corners is the constant pressure to publish papers. “I think the problem is that the research community themselves don’t have a strong incentive for raising the bar for significance because it makes it harder from them to publish,” says Valen Johnson, a statistician at Texas A&M University in College Station, who is a proponent of the p<0.005 threshold. But in the long run, Johnson says, raising standards should result in more discoveries and better science, as researchers would have more confidence in previous work and spend less time replicating studies. Unlike the ASA in its editorial, Johnson believes that researchers, especially non-statisticians, would benefit from thresholds to indicate significance. Lakens, who advocates for researchers to choose thresholds as long as they justify them, agrees, noting that bright-line rules may be necessary in some fields. But allowing cutoffs, even in select cases, may mean that researchers’ biases encourage p-hacking — even if unconsciously, notes Regina Nuzzo, a statistician at Gallaudet University in Washington, D.C., and associate editor of the ASA’s special issue. This article was originally published on Undark. It has been slightly modified to reflect Spectrum’s style.